China's industrial output expanded 6.1 percent year on year in August, slightly higher than the 6-percent rise in the previous month, official data showed Friday. In the first eight months, industrial output rose 6.5 percent, 0.1 percentage points slower than the Jan.-July period, the National Bureau of Statistics said in a statement. Industrial output, officially called industrial value added, is used to measure the activity of designated large enterprises with annual turnover of at least 20 million yuan (about 2.9 million U.S. dollars). On a monthly basis, industrial output in August increased 0.52 percent from July. A breakdown of the data showed the production and supply of electricity, thermal power, gas, and water reported the fastest growth at 9.9 percent among the three major sectors in August. Manufacturing output rose 6.1 percent year on year, down 0.1 percentage points from July, according to the NBS data. The output of the mining sector climbed 2 percent, up 0.7 percentage points from July. In the first eight months, high-tech manufacturing output expanded 11.9 percent year on year, outpacing the overall industrial output by 5.4 percentage points. Both equipment manufacturing and strategic emerging industries saw output gain 8.8 percent. New products posted rapid expansion, while corporate profits maintained robust growth, according to the NBS. 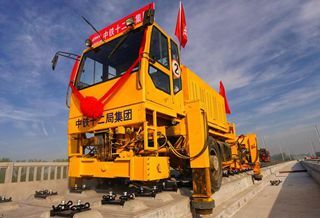 The output of new energy vehicles, industrial robots, and integrated circuits went up 56 percent, 19.4 percent, and 13.4 percent, respectively, in volume year on year in the Jan.-Aug. period, the NBS data showed. In the first seven months, major industrial firms saw their combined profits increase 17.1 percent year on year to 3.9 trillion yuan.